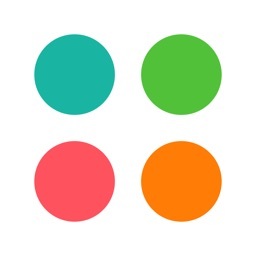 - Tap the screen and swap a continuous group of same-color diamonds. - Release the drag to make the diamonds blast and earn points. 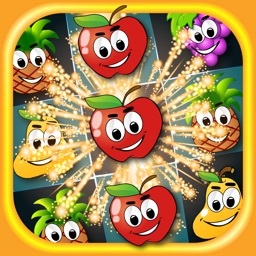 - You win 10 points for each diamond blasted and additional points if you burst more than 3 diamonds. - By connecting 6 diamonds, you get a bomb diamond. 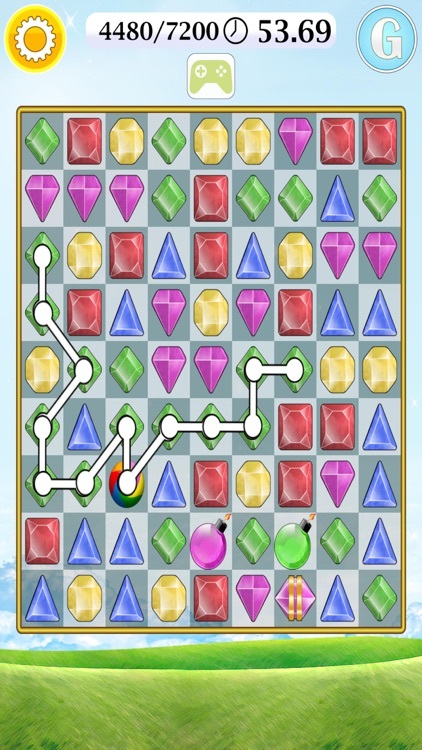 When it is matched by color, it will explode once, clearing the diamonds around it. - By connecting 7-9 diamonds of the same color, a row buster appears. When matched, clears the entire row it is on. 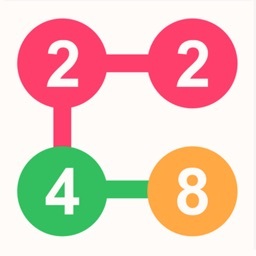 - By connecting 7-9 diamonds of the same color, a column buster appears. When matched, clears the entire column it is on. 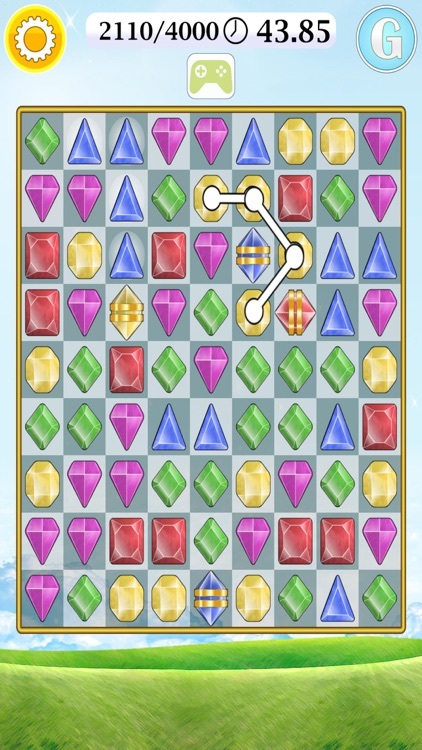 - By connecting 10-11 diamonds of the same color you get a cross buster. When matched, clears the entire row and column it is on. 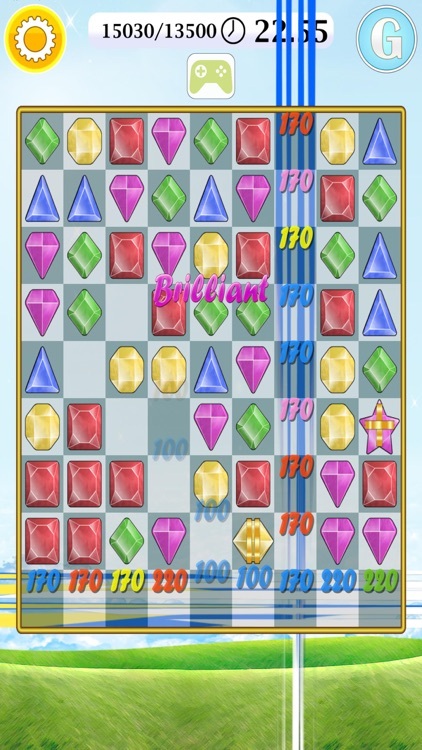 - If you are able to match more than 11 diamonds, you get a super diamond. 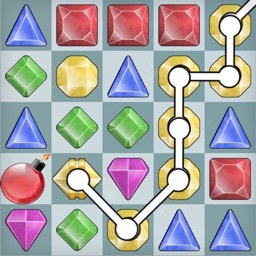 This can be grouped with any other single diamond on the board. 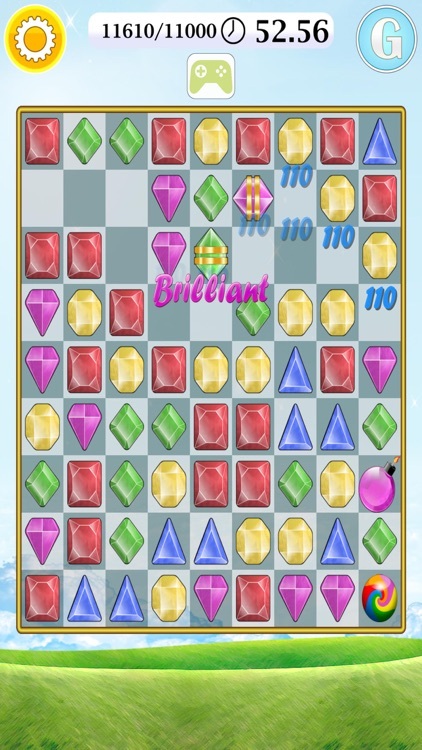 When activated, all the same-colored diamonds as the diamond it was matched with, will be removed from the board. 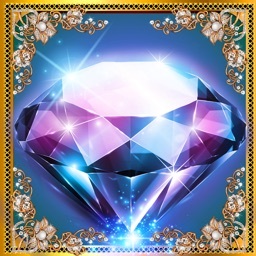 - By connecting 5 diamonds of the same color you get a joker diamond. 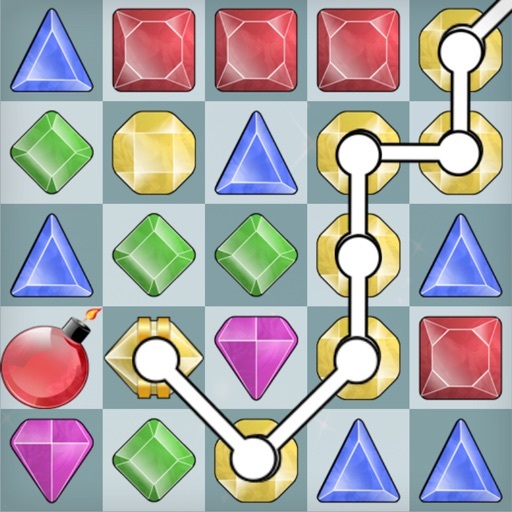 This can be matched with any other single diamond on the board. - To restart the game press -New Game- in the main menu. - To pause the game just enter the main menu. - In order to pass to the next level and win the current round, you need to acquire a certain number of points before the time runs out. The levels get progressively harder as you play on. 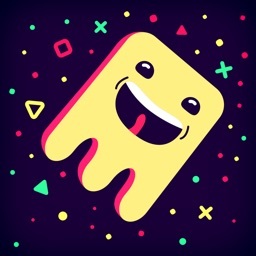 - The final score and the score at the end of each level is calculated by giving a 10000 points bonus for each completed level plus the score obtained at the current level.